Elsie M. Amundsen, 91, Abercrombie, ND passed away on Monday, October 7, 2013 at St. Francis Healthcare Campus, Breckenridge, MN. Funeral services will be on Friday, October 11, at 2:00 PM at Emmanuel Lutheran Church, Abercrombie, ND with Rev. Ken Kirchenwitz officiating. Visitation will be one hour prior to the service at the church. Interment will be in the church cemetery. Arrangements are entrusted to Vertin-Munson Funeral Home, Wahpeton, ND. Elsie was born near Sabin, MN on December 11, 1921 to John and Erna (Rose) Paasch. She grew up and attended schools in that area. She was baptized and confirmed in Trinity Lutheran Church in Sabin. She graduated from Moorhead High School in 1941 and was employed in Fargo, ND for a number of years before being married to Clarence Amundsen in a double wedding ceremony in Grace Lutheran Church in Fargo. Her sister Stella was the other bride. Clarence and Elsie made their home on a farm near Abercrombie, ND for close to 40 years before Clarence passed away on December 12, 1985. She continued to live on the farm until November of 1986 when she moved into Abercrombie. In February, 2013 she became a resident at St. Francis Healthcare Campus in Breckenridge, MN. 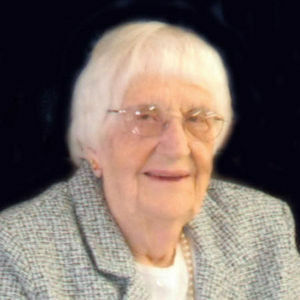 Elsie was an active member of Emmanuel Lutheran Church, had served on the Church Council, held offices in the WELCA, was Secretary and Treasurer of the Sunday School, and was a member of the Ruth Circle. She helped to organize the Valley Homemakers Club, was a member of the Abercrombie Senior Citizens and for 35 years was a member of the Fort Abercrombie Legion Auxiliary. For many years, Elsie volunteered at the VA in Fargo and wrapped and distributed gifts to the patients. Elsie being of German descent often referred to herself as a converted Norwegian, as she had learned to eat lutefisk, and make lefse, fattingmand, krumkake, and other Norwegian cookies and delicacies. For a number of year she had helped to make rommegrat at Bonanzaville Days in West Fargo. She loved to read books, crochet, and in her earlier years raised a large garden and canned the produce. She loved to entertain her family on holidays and being with her family, especially her grandchildren and great-grandchildren, and she was always known to say, "I love yah all" to her family. Elsie is survived by her son, C. Allan (Gladys) Amundsen, Wahpeton, ND; her grandchildren, Troy (Amy) Amundsen and their children Peyton and Carson , Trent (Rebecca) Amundsen, and their children Kelsey and Reese, all of Fargo, ND; her sister, Velma Sauvageau, Horace, ND; her sister-in-law, Margie Paasch, Moorhead, MN; and several nieces and nephews. She was preceded in death by her parents, her husband, Clarence; her sisters, Leona Smith, Eleanor Johnson, Irene Ekre, and Stella Flatt; her brothers, William, Albert and Roland Paasch. The beautiful and interactive Eternal Tribute tells Elsie's life story the way it deserves to be told in words, pictures and video.